Smith, a highly effective, professional manager, brings proven leadership capabilities to the Proforma team. March 07, 2017 (Purcellville, VA) Proforma Screening Solutions welcomes Phillip Smith to the team as Director of Operations. Smith has previously worked for several background screening and risk management companies. His most recent position was with CARCO Group Inc. as their Deputy Director of Operations. 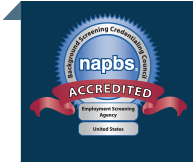 Proforma Screening Solutions provides an array of employment screening services and background checks that aid companies, both large and small, in making better hiring decisions. They are built for customization, and deliver actionable information. The team at Proforma maintains compliance with hiring laws and regulations, while providing accurate and efficient background screening services.